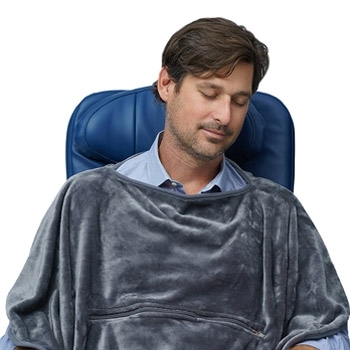 The Travelrest 4-in-1 Travel Blanket is the perfect traveling companion on planes, in the car, at sporting events or when simply lounging at home. Thanks to the clever ‘over-head poncho’ style, this blanket will stay put so you can stay snuggly warm and comfortable. 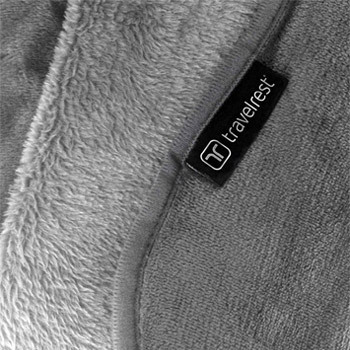 Designed with the savvy traveller in mind, this advanced travel blanket has been created from 100% plush coral fleece to keep you warm and comfortable wherever in the world you are. 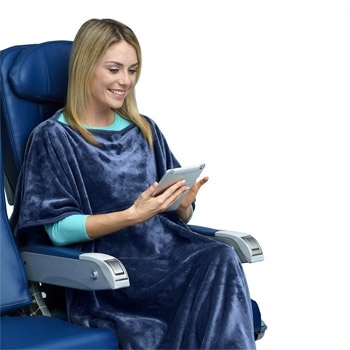 Available in two sizes, this lightweight travel blanket features a built-in carry pouch with a convenience Velcro strap that attaches the blanket to your luggage for easy transportation and storage. The pouch also doubles as a handy zippable pouch for keeping your personal items safe whilst you sleep. The ultra plush material and luxurious coral fleece which is delicately soft, keeps you snuggly warm and beautifully comfortable. Great for travel, that will keep you warm whether you're travelling by car, train or plane, at sports events or even relaxing at home. The innovative design allows for several uses, as it can be used as a convenient pillow for your head and neck, or to Lumbar Support. The Clever 'over-head pancho' style to keep the travel blacket exactly where you want it. Zips up compact into its own pocket and built-in carry pouch to help keep the blanket clean. Pouch transforms into handy zipped storage pocket when in use and can attach your luggage with an easy velcro stratp for easy transportation. he innovative design allows for several uses, as it can be used as a convenient pillow for your head and neck, or to Lumbar Support. Gently stuff the unfolded blanket into the pouch. Shake the pouch gently to fluff the blanket and spread evenly in the pouch. 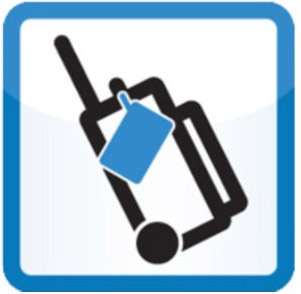 Attach to your luggage using the strap or store safely away until next time. Lay the blanket on the floor with the pouch underneath. Fold the top third down, exposing the pouch. Next fold the side third down (in line with the pouch) Repeat on the other side. Fold the remaining strip of blanket in half, and then in half again. The folded blanket should be the same size as the pouch. Pull the blanket through into the pouch and zip to close.